Q: Can I show the home button with a URL in the flash book toolbar? 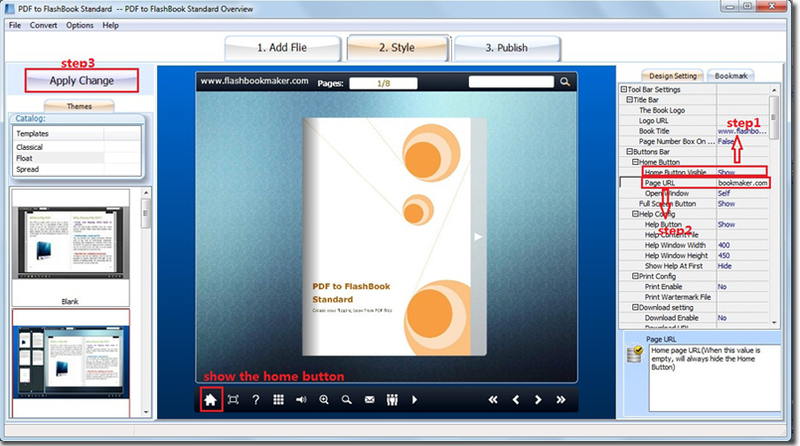 There is a Home Button that you can choose to hide or show it in the toolbar for the flash flip book. And you should know that it will not show if you have only transferred “Hide” to “Show” for the “Home Button Visible”. It will be showed when you have entered a URL in the “Page URL” and apply change. Step1: transfer “Hide” to “Show” in the “Home Button Visible” bar. Step3: Click “Apply Change” to save the settings.